So the teen went back to university yesterday after being at home for a month. 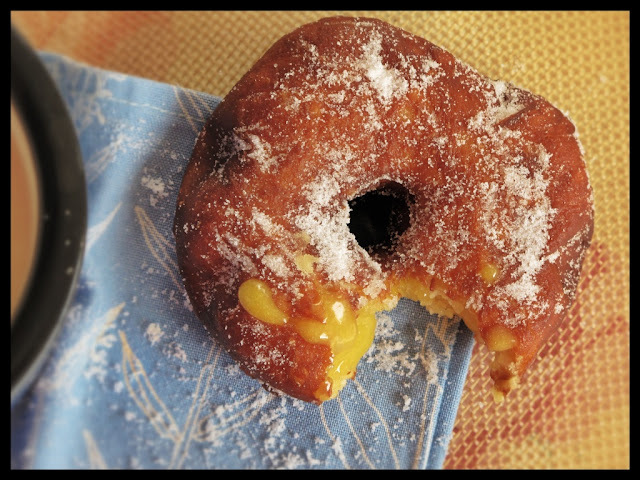 I drove home from dropping her off at Kings Cross station and self-medicated with comfort food: freshly fried doughnuts filled with passion fruit curd. The best doughnuts I ever had was at the Brick Lane Bagel shop which used to fry up jam doughnuts on a Saturday afternoon. They’ve got to be freshly fried. I needed the carbs, I justified, because I had to park far away and drag her suitcase, which is as big as she is, the weight and size of a coffin, my heart pounding with the effort, miles down the York Way so she could take a train to York. When she’s home, I feel better, I don’t have that feeling of something being missing from the house. I only have the one you see and I don’t have a husband. The first couple of weeks when she’s gone, I still think she’s present, in her bedroom (she spends most of her time in her bedroom even when she’s home). It’s a strange feeling, like a phantom limb. I’ve got no one to shout at. It’s getting better, however, the mini-bereavement every time she goes away, not as bad as last October, the first time she left. But this Easter holidays I got the vibe from her that I remember so well from how I was with my parents: that sensation of slightly not being able to stand being around them for very long, being both bored, irritated, depressed and powerless. Of feeling that being with my parents was not the centre of the world. It’s disconcerting to be on the other end of that. It makes you feel old. The tough bit with having children is not the baby stuff, the sleepless nights and the not going out. It really isn’t. It’s this: knowing that you will fade from importance in their lives, that your main value to them is when things are going wrong, when, quite rightly, they will boomerang right back. That you will see less and less of them as the years go on, as they form relationships and have children. That Western society regards clinginess to parents as a bad thing. Worse, if you are a man, mother love is seen as the primary symptom of a future Psycho killer. As a parent, this is the only relationship in life where you must tolerate this inequality. It requires mountains of self-sacrifice. I only hope I’m strong enough. Until the end of course. I don’t see my parents often enough, they are always travelling, but I dread my parents dying. What will I do? Who will I go to for advice? How will I ever go home again? Home isn’t a place but a history, a habit. Will the tape in my head, comprised mainly of their values, which half of the time I fought against, determining what I thought not what they thought, still play? I’ll have two big parent-shaped holes in me. Emotionally, I’ll be a doughnut. 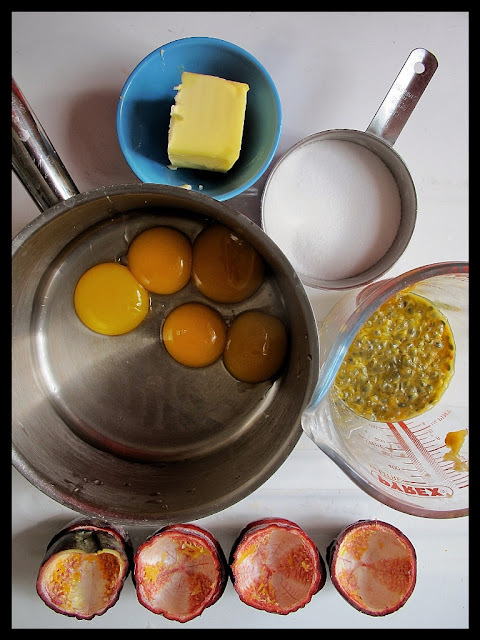 Put the yolks, passion fruit and sugar into a pan and cook slowly, stirring constantly, as it forms into a custard. It should reach about 70c/160F and take 10 minutes. Then take off the heat and slowly stir the butter in gradually. Add the pinch of salt. 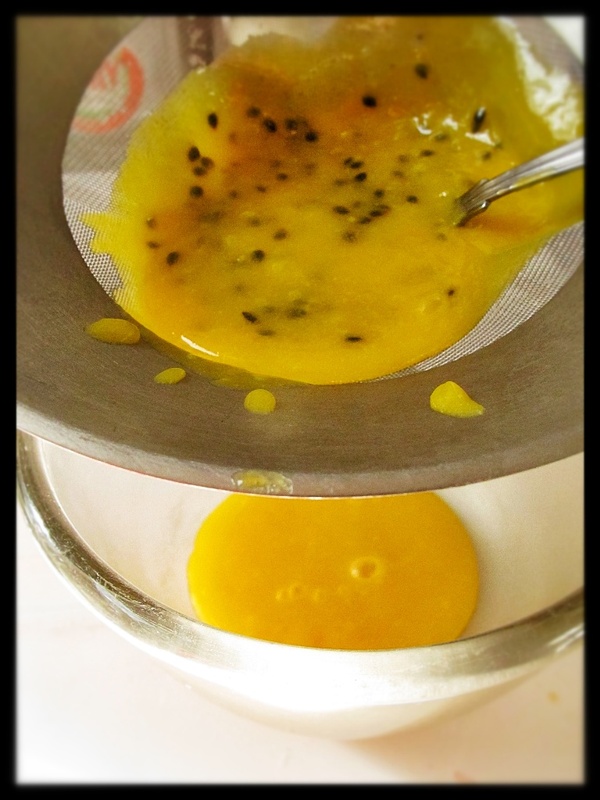 Strain the passion fruit curd into a container and let it cool. I used Dan Lepard’s recipe from Short & Sweet but it did take a long time. 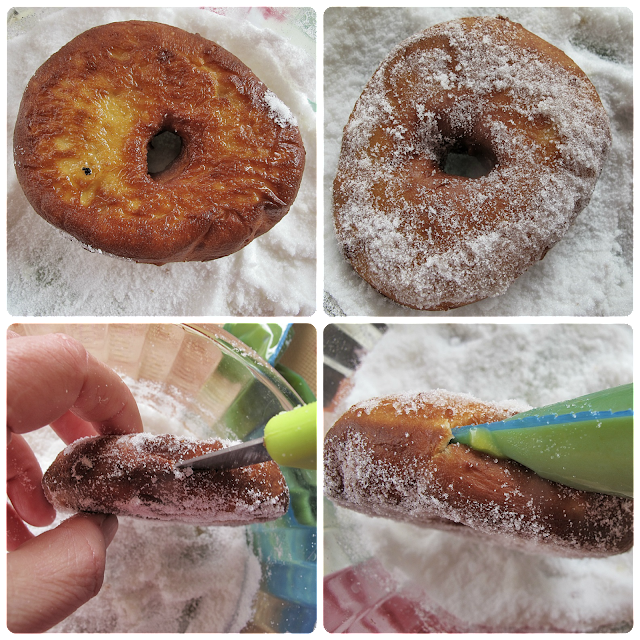 Do punch holes in the doughnuts, I found that the inside was not sufficiently fried if I tried to fry them whole. Here is a quicker recipe and next time I will try that. Fry in clean vegetable oil (that hasn’t been used for anything savoury) in a deep frying pan or use a dedicated deep fat fryer. They fry really quickly, within a minute or less, so do keep an eye and fry a few at a time. Then dip them in a bowl of caster sugar, turn them over and sugar both sides. To fill them with the curd: fill a piping bag and cut a small hole in the side of the fried doughnut, driving it either side of the hole. Fit the tip of the piping bag in and fill. This works! Best eaten on the day with a cup of tea. 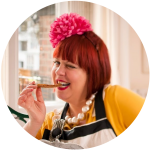 You know what I love when you write about food but i really realy love when you write about being a mum and other real stuff in your world. Golden syrup sugar! I must seek that out. I know exactly what you mean by the way, it was the same when I left home. Mum cried for two weeks solid. Going back did seem a bit like a chore. It took about six years I think; I was home between flats, it was so *nice* to be looked after but at the same time I felt treated like an adult whose opinion was valued. Thanks Tansy. I keep crying. Why am I crying? Is it Thatcher? Sarah: yes it's taken me a long time to grow up with my parents. Beautiful post. Thanks for sharing your feelings as a mum and daughter. At the time being, I cling to my parents, too scared to become a donut some time soon. You are definitely not shouting into any void. The phantom umbilical cord is felt for far too long. Most mothers feel the absence of their children when they first leave and eventually learn to enjoy it ….for a while. There is always the anticipation of their return. And then they get married! Or they find someone to share their life and it isn't so bad if they stay in the vicinity. Takes forever to learn to share them with the in-laws, their children, their new friends. And then there comes the time when what goes around comes around. That's when they understand what you went through and suddenly they start sharing with you again what you have known all along. Sometimes you discover that they are better at it than you were or at least it sounds like they do! Woke up to a storm and your heart-wrenching words. I don't think any child could be bored with you for long my dear. I look at my grown up nieces – 4 of them who were brought up by mys sister on her own – and marvel that they could now all be so loving and close to her They're in their thrties so you may have to wait a bit longer but life is circles – she'll come around. Passion fruit is my big passion, need a doughnut now. Love this post, although not all children leave their parents – I have my in-laws living with me!! Madness. Mmmm, doughnuts. Don't despair, after the separation a new relationship forms. It's all good. So beautiful. Not sure if it's the pregnancy hormones or being acutely aware of just how far I am from my mum right now, but you had me in a right quivering mess. The only solution, was carbs. Really beautifully expressed. You conjure up so well the state of inertia brought on by our parents and the sense of helplessness in their presence that never really goes away. Lovely recipe too. 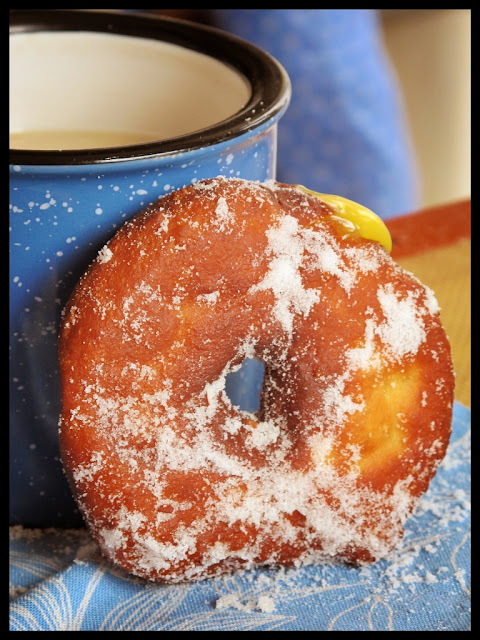 Who doesn't love a hot doughnut?! Apologies for the number of predictive text errors in that comment!